Sold by the foot, 1 unit = 1 foot. This is full on Military VELCRO® Brand Loop fuzzy side done with adhesive / sticky back - brand #72. Great for helmets, small electronics, weapon furniture, and more. 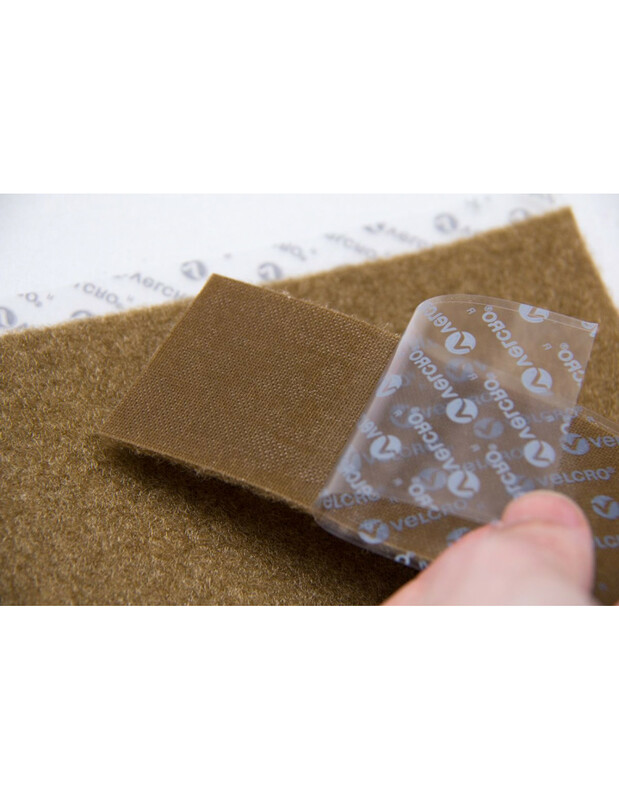 The adhesive achieves full bond strength in 24 hours (after applying on the gear surface), and works well in temperature ranges from -20° F to 225° F.